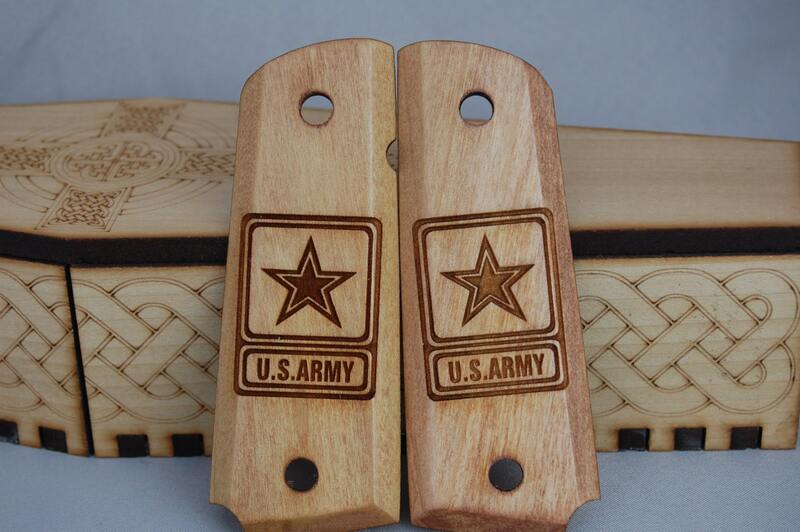 These 1911 grip panels are laser engraved with the US Army logo on each panel. 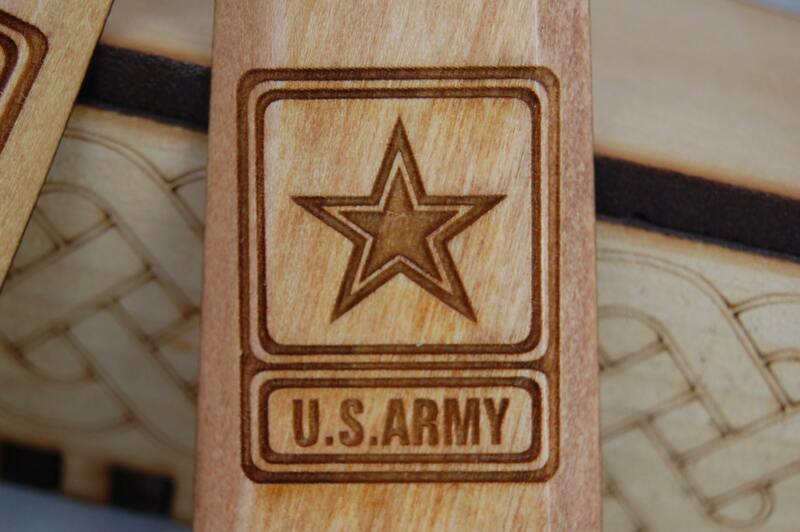 The grips are made from poplar, and custom shaped to give a glassy smooth finish. 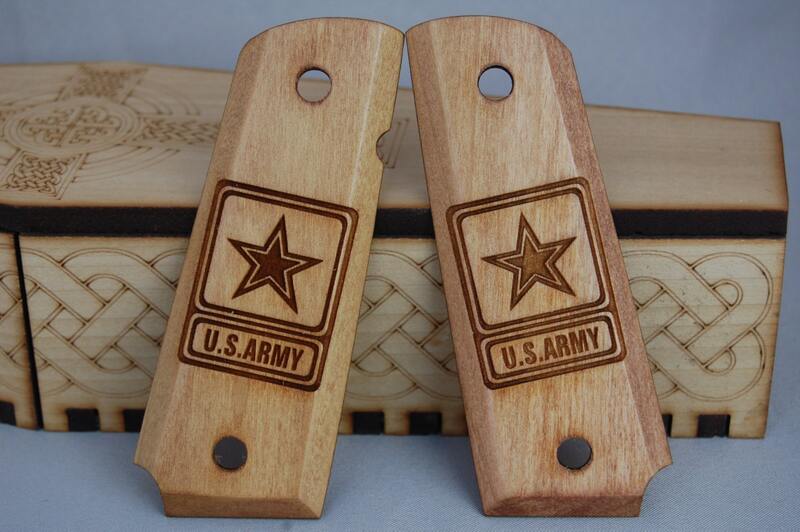 The ones shown in the pictures are stained with the Cherry finish and have the Traditional cut on the bottom. These are also available in the traditional rounded style, or the blocky style shown in the pictures. Let me know in the comments which you would like.